The partisan divide is as deep today as it perhaps has ever been. Even so, as demonstrated by the swift closing of the political gap on gay marriage, the landscape can change rapidly. The next big sea change seems relatively easy to predict: Large-scale reductions in mass incarceration. Gone are the days when the only voices around sentencing and incarceration were shouting get-tough-on-crime messages. After tripling over two generations, there’s been little growth in prison populations in the last five years. There’s even some evidence of a rollback. The tough-on-crime message has largely been replaced by silence, but calls for change are growing. Led by Grover Norquist and Newt Gingrich, Right on Crime seeks to reduce the number of prisons and prisoners to fight crime, prioritize victims, and protect taxpayers. 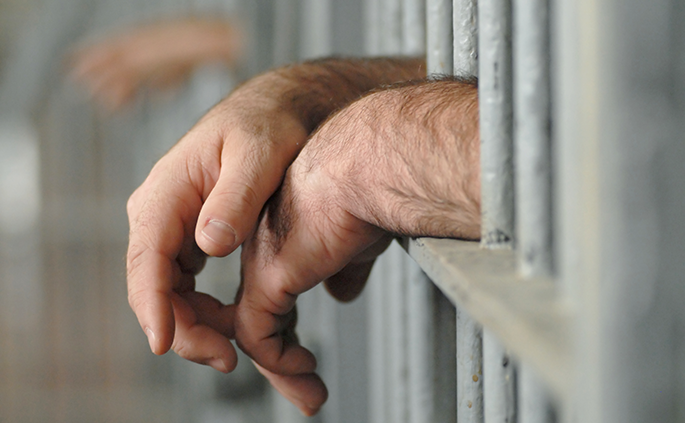 Democrats have long argued for prison reform, with the most recent charge being led by former Senator Jim Webb, who charged that mass incarceration does not prevent crime and ravages communities. 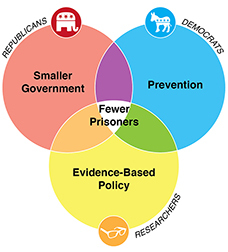 And there is near universal agreement among academics that regardless of whether mass incarceration prevents crime, it does not do so in a cost-effective way. In particular, the Justice Reinvestment Initiative seeks to help state and local governments reduce their prison populations and costs. All the ingredients are there—political, fiscal, and empirical—for a rapid change to much more efficient and effective policies. Perhaps it will take a generation before mass incarceration seems as anachronistic as chain gangs, but that change seems inevitable. Prison image from Shutterstock.com. Graphic by Tim Meko, Urban Institute.